Nestled amidst the mountains of the Himalayas, the Nubra Valley of Ladakh is relatively isolated from the rest of Ladakh. Here, farmers and herders rub shoulders with tourists going on rafting excursions, while monks live in relative seclusion in the ancient Diskit Monastery. At first glance, the Nubra Valley looks like a lush oasis in the middle of a high altitude desert. But this is a place of extremes, as an unlikely sand dune desert separating two massive mountains can attest to. In this guide, you’ll learn more about this unique destination, and what to see and do here. It’s relatively easy to get to the Nubra Valley, if you aren’t rushed for time. Buses depart from Leh thrice a week, and is the cheapest way to travel. Alternatively, sharing a taxi is a more comfortable experience, albeit at a higher but still affordable price. The road leading to Nubra Valley first climbs a thousand meters to 18,380 ft at Khardung La. With a bold claim as the world’s highest motorable road, most travellers make a pit-stop here for photographs in front of the outpost signboard. There’s even an account of hiking up to Khardung La on foot. From Khardung La, the road winds down the mountain. Eventually, you’ll start to see trees and a fast-flowing river which meanders towards Diskit, recognisable by its huge monastery and 32m statue of the Maitreya Buddha. Another 8km down the road past the sand dunes, and you’ll reach the farms of Hunder. Here you can find accommodation for the night. Government-run buses head out from Leh to Diskit every Tuesday, Thursday and Saturday at 8am. The bus ride takes almost 8 to 11 hours, depending on the condition of the road. Each ticket cost 200 Rupees, and you’ll need to get them at the Leh bus station. As this bus fills up quickly, you should book a seat at least one day before your trip. The return bus will leave the next day from Diskit at 7am, so it’s every Wednesday, Friday and Sunday. If you decide to spend an extra day in the Nubra Valley and skip the ride back, you can still find shared taxis plying this route throughout the day. If you afford the price, getting to the Nubra Valley by taxi is definitely worth the price. The travel time is cut down to a mere 5 hours, punctuated by a few short breaks at scenic lookouts. Nubra Valley is devoid of public transport (apart from the daily long-distance bus), and it’s also a lot easier to explore the area with a vehicle. The city centre of Leh is chock-full of tour agencies that can help backpackers find other travellers to share a taxi with. The price of a taxi is regulated by their union, and the rate for a 2-day trip in 2017 is 10,566 Rupees. This price is shared between all the travellers, so try to maximise the taxi capacity if you’re on a budget. The first part of the journey is exhilarating, as you climb a thousand meters on winding roads cut into the sides of the Himalayan mountains. By taxi, it takes about one and a half hour to reach the top, marked by a small military outpost, some tourist shops and a small canteen. While Khardung La’s claim to fame is disputed, the threat of altitude sickness is real. Most travellers stop here for less than an hour, taking the usual medley of photographs and stopping over at the canteen for a cup of chai and a bowl of instant noodles. Interestingly, there’s a small banner narrating the history of maggi company right outside the canteen. In a desolate and frigid place like Khardung La, this speaks volumes about digging into a bowl of this humble yet comforting instant noodles. Everyone needs a selfie at Khardung La! From Khardung La, the gravel road hugs the side of the mountain and zigzags every so often. Bearing towards the village of Khardung, the grey rocky landscape is occasionally interrupted by a green shrub. Half an hour later, a green meadow welcomes travellers to Khardung, and more importantly, yet another military checkpoint. Jammu and Kashmir, the mountainous state where Ladakh is located in, is still a restive area. With the partition of India still a recent memory, expect numerous security checkpoints on major roads outside Leh. More importantly, travellers need to register for a security permit before travelling to major sightseeing places like Pangong Lake, Nubra Valley and Tso Moriri. Most travellers can get this permit within a day at Leh. However, some nationalities will face more problems depending on the current geopolitical climate. For example, China and India are still tussling for dominance at their Himalayan borders. Hongkongers and Macau residents are treated like Chinese nationals, and may apply for a security permit in Delhi only. If you’re visiting Leh without one, you’ll be limited to exploring the city and the small towns along its outskirts only. To some, driving to Nubra Valley is itself is part of the attraction. Passing through some of the most dramatic landscape in Ladakh, you’ll come across sections that look remarkably like the Grand Canyon, albeit smaller. Carved out by an unassuming river over thousands of years, it gradually widens and expands into the valley up ahead. It is this river that sustains life in the Nubra Valley. Unlike the polluted rivers elsewhere in India, the fresh glacier water here is a refreshing sight to behold. And if you’re looking for an adventure, this is where you can take on the white water rapids on a rafting excursion too! Diskit is recognisable from the huge red and white Buddhist monastery sprawled across the mountainside. Built in the 14th century, this ancient place of worship tells of a remarkable story involving a Mongol warrior who dies mysteriously during an invasion. In a dimly lit prayer hall, a white six-handed deity cradles a withered arm, purportedly of the Mongol warrior. The locals claim that his head lies somewhere else in the monastery too. If you’re able to make the climb up to the top (bearing in mind that this is still 3,000m above sea level), the panoramic views from the top of the monastery is stunning. It overlooks the river to the right, the tree-lined farms on the right, and the Maitreya statue in the middle. In a remote town hundreds of kilometers away, and perched up high with the ascetic Buddhist monks… this is a good place to reflect on life, at least for a while. The view from the top, along with some creepy wooden skulls? Just a short drive away, a 32m tall statue of the Maitreya Buddha gazes out serenely into the valley down below. Walk around the statue in a clockwise manner, or let an irate monk shout at you to do so. From the front of the statue, enjoy another amazing view of Diskit and nearby Hunder. And all around you, devotees go about their prayers as part of their pilgrimage. Miles away from the massive sandy deserts of western China, it’s hard to imagine a sand dune desert up high in the mountains. But here in the Nubra Valley, you can ride double-humped Bactrian camels across the sandy ground, with towering walls of rock stretching up from both sides of the valley. During the day, this place is full of tourists and visitors going on camel rides, enjoying a picnic, or just playing around in the sand. Jump into the fray and have a tumble down a dune, but beware of the many camel droppings littered across! As the day winds down, you might have enough time to visit a plantation. Some guesthouses grow their own fruits as well, and you might have a chance to taste their apricots or apples. Finding a guesthouse is relatively easy, with many choices in both Diskit and Hunder. Due to the remoteness of this area, mobile phone reception and electrical supply is in short order here. If you’re lucky, you might enjoy a spot of WiFi for the evening, as the power grid turns on from 7pm to 11pm. Otherwise, bring a good book and settle in for a quiet night. From the Nubra Valley, consider returning to Leh for more connections to other places in Ladakh. Otherwise, head further in and visit the hot springs of Panamik to relax. You can also try to get as close as possible to the world’s highest battlefield, the Siachen Glacier. If you’re on a two-day trip by taxi, there’s enough time to squeeze in a bit of breakfast before setting out again. But as you travel out again and up to Khardung La, take a moment to appreciate living in this rugged part of the world. 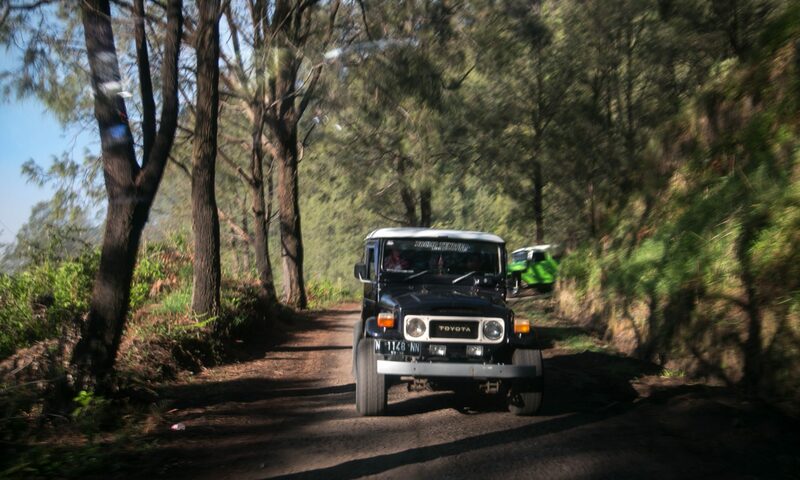 If you want to get off the beaten track… well, this is it. What a fascinating area Gary. I love the look of these roads; in some spots, a tiny path with no guardrail. Harrowing, and nerve wracking, but it is part and parcel with the region. Take your time and enjoy the views. I’d love to take a camel ride to enjoy the area from a more organic form of travel 😉 Thanks for the rocking post.